Re/code recently reported that it had examined a “lengthy document” detailing a new project in the works from Google Inc (NASDAQ:GOOG) that will facilitate the receipt and payment of bills directly from within Gmail. This Google bill pay service will apparently be called Pony Express and is slated to go live in the fourth quarter this year. Google’s use of a third party to verify the identity of its users sounds a bit excessive, though. Protecting the identity of users should indeed be paramount, but forcing them to jump through too many hoops to sign up will ultimately reduce the number of people using the service. I wonder, why would Google — especially considering that the search engine behemoth already has a plethora of information about its users — need to go through such a process when other companies that already provide aggregated bill pay solutions, such as Mint Bills from Intuit Inc.(NASDAQ:INTU), have no such requirements. Will Google Bill Pay Boost Stock? Regardless, the more important question for GOOG investors is whether or not the Pony Express service will move the needle for Google stock. Adding a Gmail bill pay feature like Pony Express is a great idea for Google simply because it widens the already impressive number of free services available to consumers. Since Google has become extremely adept at linking its various products and seamlessly integrating a user’s details into each one, Pony Express is likely to have a good number of users who enjoy the near-effortless addition of new features. The Gmail bill pay feature will further the image of Google as a one-stop shop. Alongside the basic services with which most users are familiar — Gmail, Calendar, Maps, Drive, Docs and News — GOOG also offers free access to a number of additional products that cover almost every common online need. Examining the full list of Google services, bill pay is one of the few that wasn’t on it. Since Pony Express won’t cost anything extra for Gmail users, how will GOOG turn a profit on the service? Most likely, the service will use the bills passed through Google bill pay servers to further refine targeted ads displayed to users across all Google properties. There’s sure to be a number of people who object to the use of their bills as a means of improving relevant advertising, but I’m not one of them. Frankly, I’d rather see ads that actually interest me than ones that are completely random and irrelevant. One thing that hasn’t been made entirely clear is how, or even if, Pony Express will be connected to Google Wallet. At this early stage, it doesn’t appear that the two services will be married, although there’s always the possibility of a future merger, as Google is known for mashing together similar services. In fact, it would be a wise decision for GOOG management to integrate Pony Express with Google Wallet, as such a link could alleviate the need to re-verify personal data and re-enter banking or credit card details. 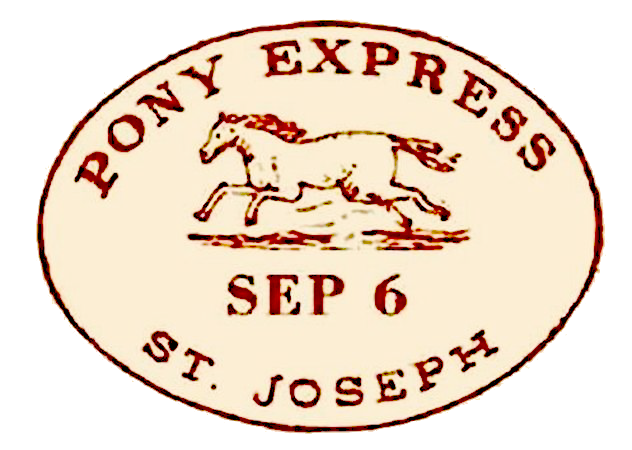 Plus, if marketed properly, the Pony Express service could help raise awareness about Google Wallet’s in-store smartphone payment features, helping GOOG remain in the race against Apple Inc. (NASDAQ:AAPL) and eBay Inc's (NASDAQ:EBAY) PayPal, Inc.
With Apple Pay still spreading like wildfire, could the new Pony Express Gmail bill pay feature (if connected to Google Wallet) threaten the digital payments market share Apple holds? Simply put — no. Apple’s share of that market is, by far, stronger and larger than Google’s will ever be. But, that doesn’t mean GOOG can’t remain a major player in the space. Adding a Gmail bill pay feature is a wise move for Google, even though shareholders of GOOG stock won’t see sizable or even significant benefits. The Pony Express service can add to the already-expansive list of free services for consumers and is Google’s one-stop shop position that will help secure GOOG’s presence as a household name at the forefront of the digital world.